Sarah Chapman Skinesis Dynamic Defence SPF 15. 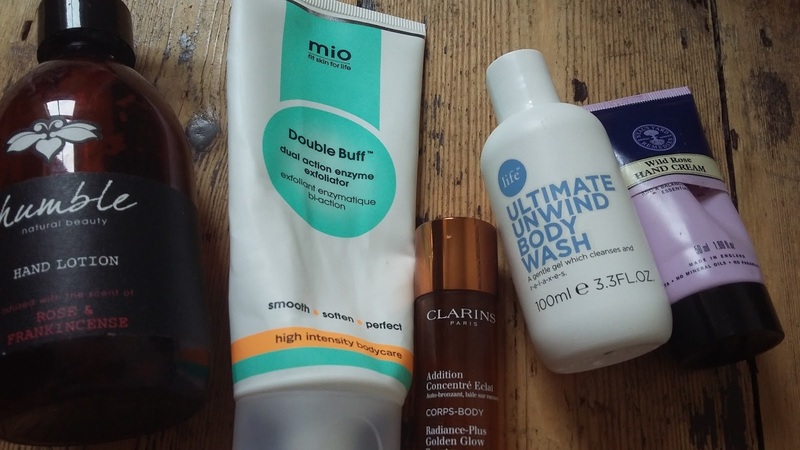 Oh I find moisturisers the most difficult skincare item to write about, mainly because I find them much of a muchness. Occasionally something really special will jump out… but sadly not this time. This Sarah Chapman formula is, you know, OK. £44 for 40ml here. Becca Shimmering Skin Perfector. This regularly crops up in my skincare stash. I like it a lot. Full review here. Elite Sunscreen SPF30. You’re going to have to trust me on the name of this one as the label has completely worn off. 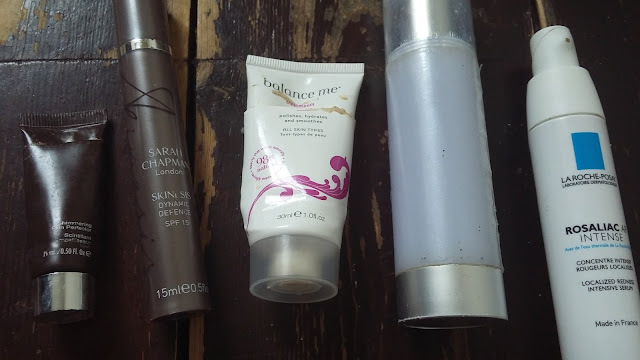 I can’t say I enjoy using this physical sunscreen as it’s very thick and brilliant white in colour but my dermatologist strongly advises me to slap it on daily – unless I'm careful I can develop sun-induced pigmentation. Full review here. La Roche-Posay Rosaliac AR Intense. I bought this when a bout of rosacea struck. I no longer suffer from that but I have continued using it as it’s very good at calming the skin. £17.50 for 40ml. More info here. Balance Me Radiance Face Mask. I adore this. On the tube it says it polishes, hydrates and smooths. It does, extremely well. £18 for 75ml here. Clarins Radiance-Plus Golden Glow Booster. I ran out of this self-tanning liquid a few weeks ago but made myself wait until Fenwick’s cardholders’ 20% off event before replacing. 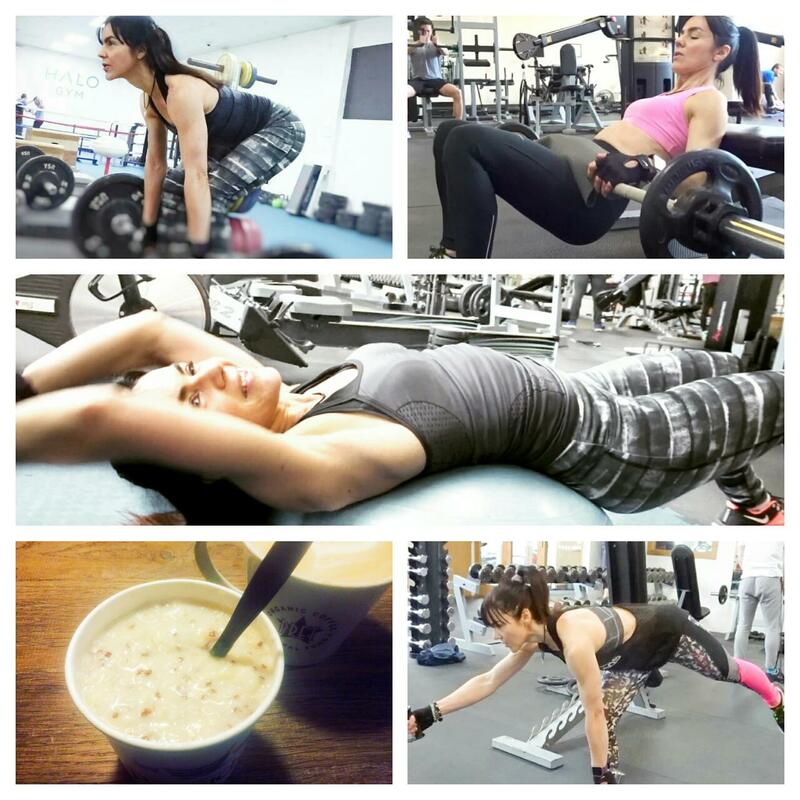 That was tough going – I really can’t live without it. You add a few drops to your regular body cream. The face formula is reviewed here. Life Ultimate Unwind Body Wash. A zesty, ‘wake-me-up in super quick time’ body wash. It’s a Space NK product or should I say it ‘was’ a Space NK product – I do believe it has now been discontinued. That’s such a shame, as it’s rather nice! Mio Double Buff Dual Action Enzyme Exfoliator. I won this in a Twitter follow and RT comp. I’m not a fan of body scrubs: I’m not a fan of physical scrubs full stop. This is not something I would choose to buy – the comp prize also included a body wash which I do like! £23 for 150ml here. Humble Hand Lotion, Rose & Frankincense. 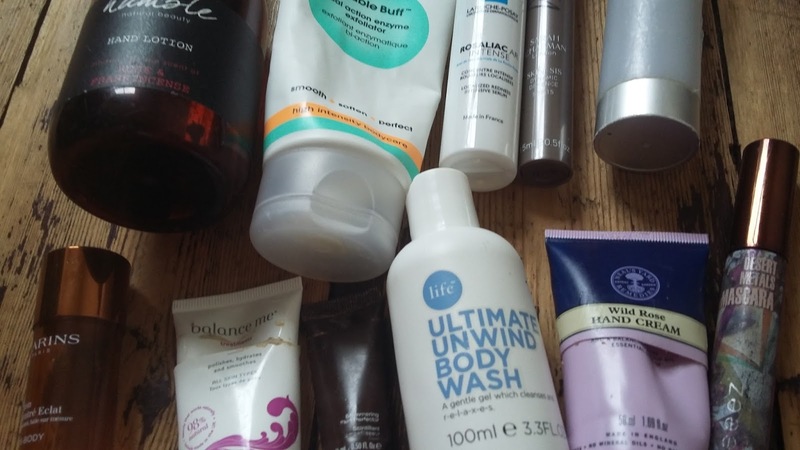 From TV presenter Kate Humble’s skincare collection. I got sent this to review just before Christmas. It smells sublime and is very reasonably priced. Reviewed here. Neal’s Yard Remedies Wild Rose Hand Cream. I got this free with Marie Claire last November. I have yet to come across a rose-fragranced hand cream that I don’t love. This is pretty special too. Reviewed here. 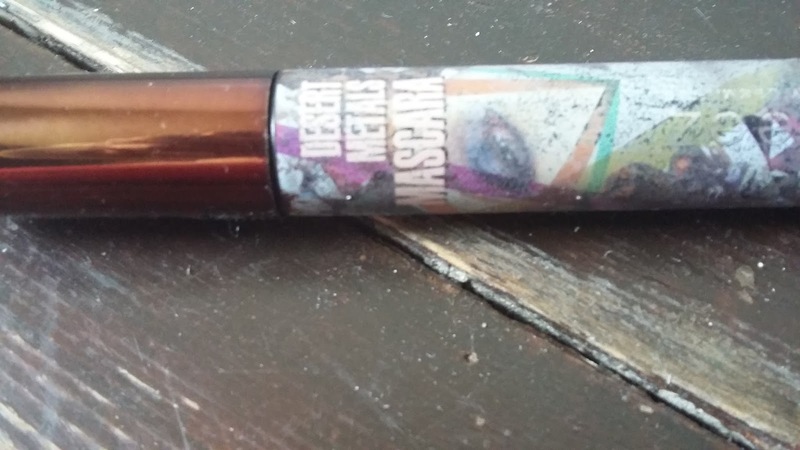 Teeez Desert Metals Mascara, Midnight Sky. I’m throwing this out only because it’s old and was starting to thicken. I love the cone-shaped brush this comes with – it loads the outer lashes with oodles of mascara, really making them pop. I can only see it available in Midnight Skinny Dip here for £15.